We are the leading charity in the West Midlands for people with autism. We use our expertise to enrich the lives of people with autism and those who love and care for them. Our passionate, expert staff and volunteers work across all age groups and abilities, providing direct support to people with autism. We support people with autism to live as independently as possible, in residential care, or in their own or the family home. We provide activities and events and support for families, and an information helpline. We help people with autism to find and keep a job. 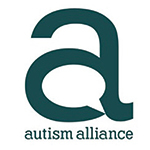 We offer training for parents of children with autism, and the professionals who help them. Our vision is a world where people with autism are universally understood and accepted as equal citizens.